Whether it's 1.6 or CSS; anyone here a "real" fps player? I used to cruise around in the 1.6 days for several years and switched over to CSS after it was released. I still enjoy 1.6 a lot more but most of the guys I play with and those who were in my old scrim team moved. 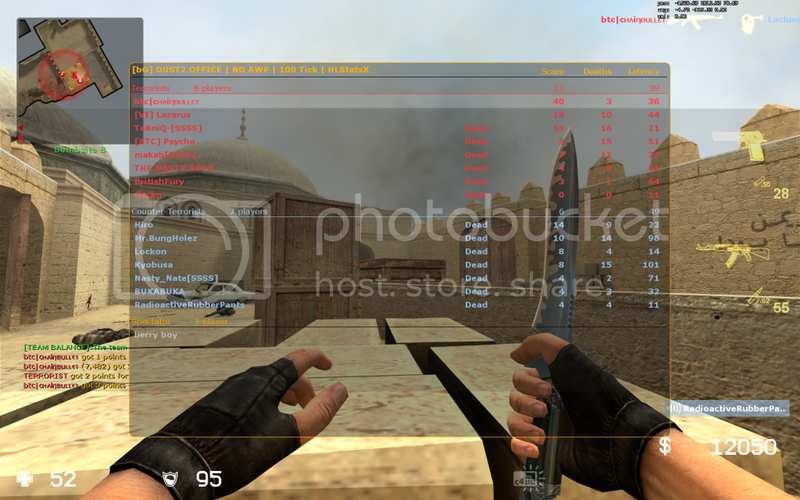 I've been playing CSS ever since and (not to brag) am quite good at it haha. Anyone up for some regular gaming or just screwing around, toss up your steamID's . I've been playing a lot of Dust2 again. So if you all are intrested let us know. A CSS server for amistr would be awesome! Call of Duty, Counter-Strike.. to be justice, one must crush noob souls at all games. Picking & choosing is cowardice.